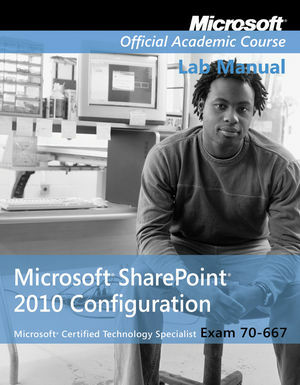 This book is for students preparing to become certified for the 70-630, Microsoft Office SharePoint Server 2007 Configuration exam. The Microsoft Official Academic Course (MOAC) lessons correlate and are mapped to the Microsoft Certified Technology Specialist (MCTS) 70-630 certification exam. This text covers facilitating collaboration, understanding content management features, implementation of business processes, and supplying access to information essential to organizational goals and processes. Students master skills to utilize SharePoint sites that support specific content publishing, content management, records management, and business intelligence needs. The MOAC IT Professional series is the Official from Microsoft, turn-key Workforce training program that leads to professional certification and was authored for college instructors and college students.